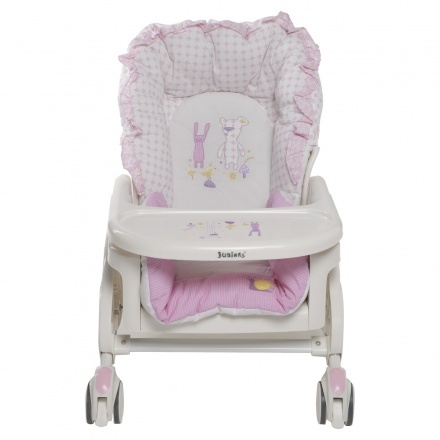 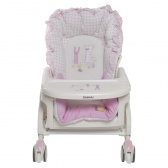 Juniors Swing Bed and Chair | White | It has a removable feeding tray. 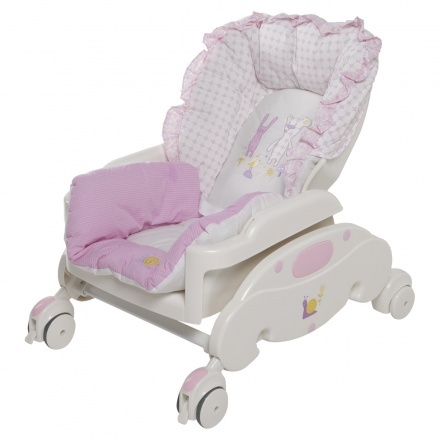 Ideal for your little one, this printed swing bed and chair will keep her excited. 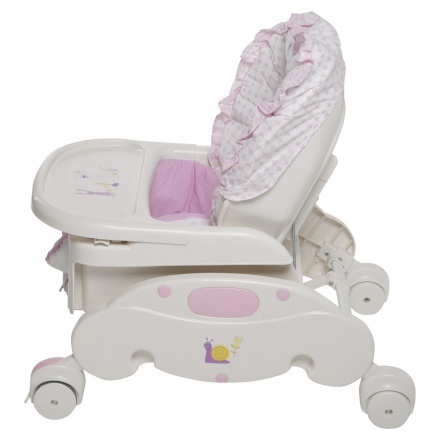 Featuring a cushioned design, this piece has smooth wheels for easy movement and will keep your kid safe. 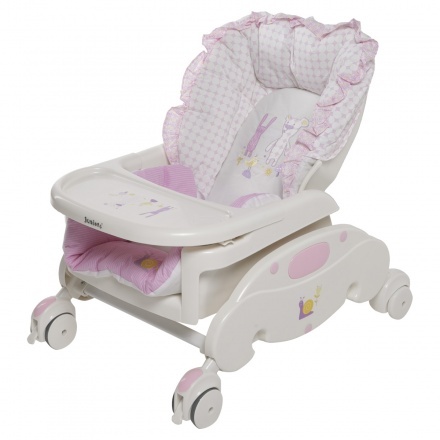 Feature 3 : It features a washable fabric and can carry up to 15 kgs. 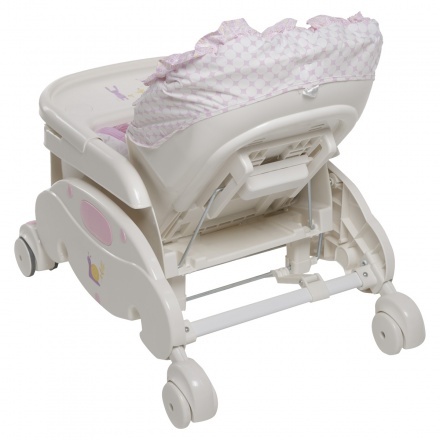 Feature 2 : It has a multi position reclining seat.